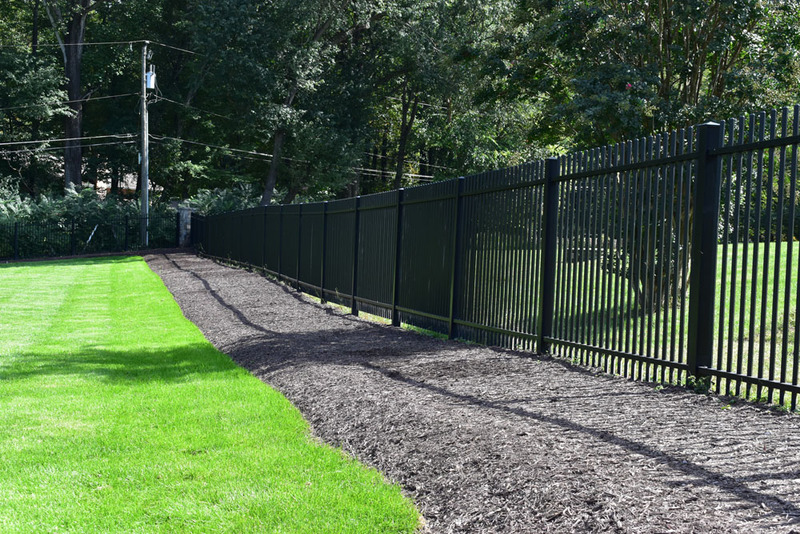 A client in the Washington DC area had bought an upscale property, but wanted to improve the landscape design as well as add automatic driveway gates and property security fence. 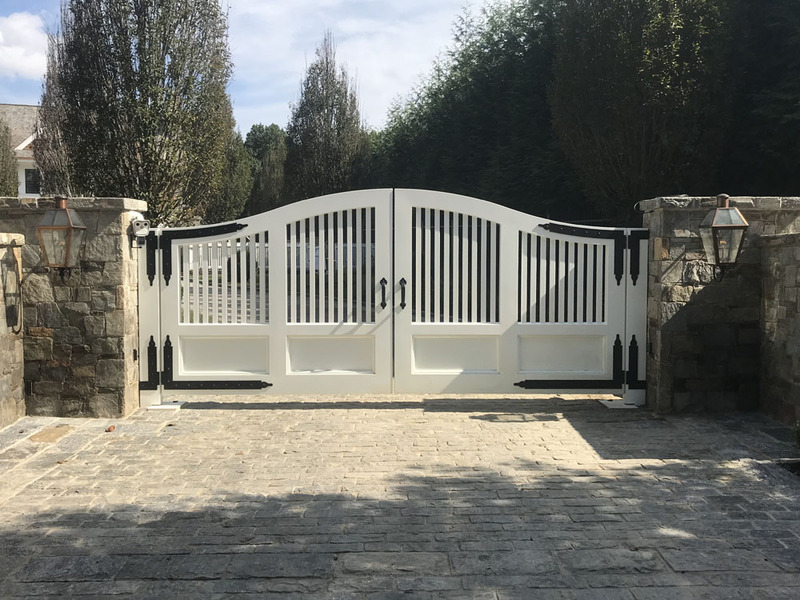 They looked at various driveway gate design images to find a design that expressed their design vision and enhanced the exceptional caliber of the house. 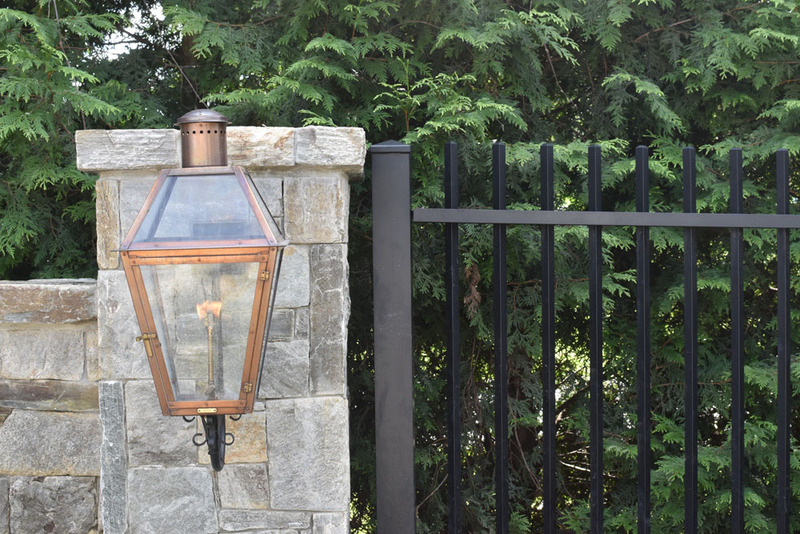 Various driveway gate designs were reviewed, from traditional driveway gates designs to modern driveway gate designs. The house had a somewhat contemporary design, which the gate design was selected to go in a similar theme. They wanted a hefty 4” x 8” bottom frame and sides with a small radius on all frame members. The bottom of gate was 2 solid panels with a somewhat modern chamfer detail. And with robust 2” x 2” square pickets on top and a custom engineered and constructed hinge post. The client also wanted the traditional look of strap hinges. And the landscape designer requested a ½” gap for hinges, while the hinges themselves are 3-1/2” wide. This was quite a challenge, and we had to get really creative with the engineering of the hinge post to fulfill their wishes. 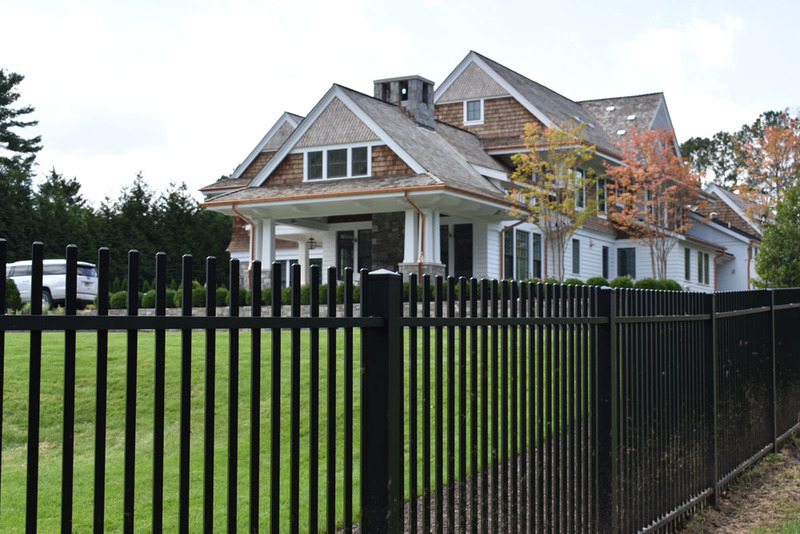 The property also had about 1200 ft. of perimeter where they wanted the entire property secured to provide privacy, safety and security for their entire family. Here they selected the mass and character of 1” solid picket turned on the diamond. 4” sq. posts provided rigidity and stability throughout. They added the contemporary aspect of a modern chamfer at the picket top. 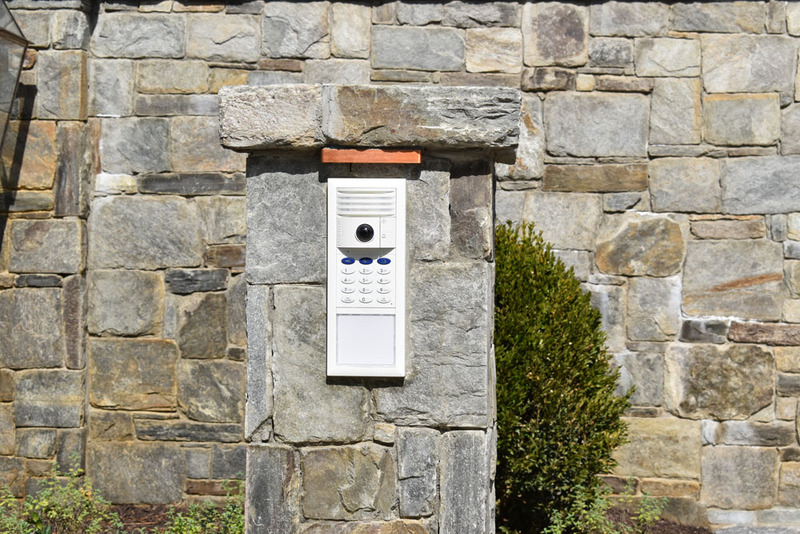 The other request was to have automatic driveway gate openers concealed in the driveway. And to have all the automation tied in with the security platform of their Crestron Smart Home System. Even the front pedestrian gate had 2 modes of allowing access. A keyless mechanical latch with programmable keypad or, an electronic strike that could be activated through their smart phone.